Every East Troy kitchen remodel includes a few key ingredients: a design that’s customized to fit the homeowner’s needs, a selection of quality materials and a knowledgeable remodeling team. When you remodel your kitchen with Stone Leaf Remodeling, you can take advantage of our 45+ years of experience and choose from a full array of fixtures, installations and accents. Kitchen remodeling shouldn’t be a risky proposition. Our meticulous work site protocols liability insurance policy let you feel confident that your job will be completed in a safe, efficient manner, without costly obstacles or delays. ♦ What’s wrong with my current kitchen layout? Some kitchens are too small and cluttered, while others are spacious but inefficient. You might want to maximize light in a dark kitchen, or replace bulky cabinets with streamlined shelves. ♦ What are my top priorities for this project? You may want to upgrade your installations and appliances, add more storage space, create a cozier atmosphere for your family or conserve natural resources. ♦ How do I use my kitchen? For some homeowners, the kitchen is a place to hone their gourmet cooking skills, while others use this room as a setting for parties and family gatherings. Your remodeling project should focus on creating the perfect space for the way you live. ♦ Does my kitchen reflect my style? Whether you prefer a traditional, cottage-style kitchen or a chic, casual space, your kitchen remodeling project should be based on your tastes and preferences. ♦ How much can I afford to spend? Budgeting is one of the most important aspects of kitchen remodeling in East Troy. We work with you from the very beginning to provide an accurate estimate of your costs, so that you can avoid overspending. From improving your lighting scheme to replacing counter tops, cabinets and flooring, the kitchen remodeling contractors at Stone Leaf Remodeling will work with you to plan a kitchen that meets your personal specifications. If you dream of having a one-of-a-kind kitchen that’s anything but generic, call us to discuss your ideas. 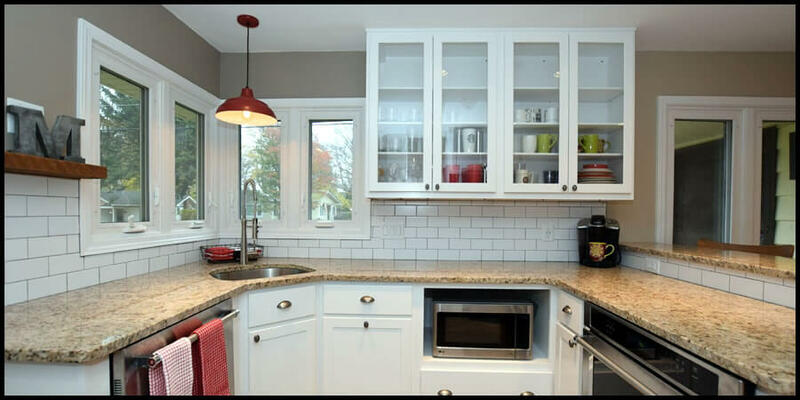 As a leader in kitchen remodeling in East Troy, we have the personnel and the expertise to bring your vision to life. 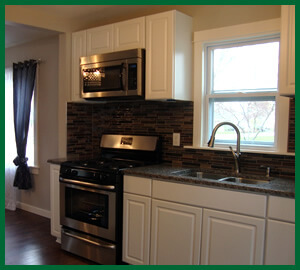 If you live in East Troy, call today for a free no-obligation estimate of your next kitchen remodeling project. © Copyright Stone Leaf Remodeling Company. All Rights Reserved. Website by Badgerland Marketing. Sitemap. Kitchen Remodeling in Racine County includes Waterford and the surrounding areas. Kitchen Remodeling in Rock County includes Beloit, Janesville and the surrounding areas. Lake Geneva, Mukwonago, Pell Lake, Walworth, Whitewater, Williams Bay and the surrounding areas.